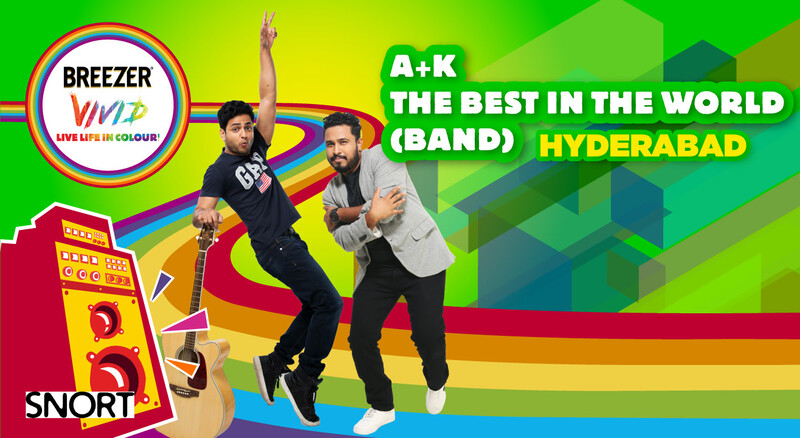 Jump into the world of Breezer Vivid where colour, laughter and music collide and the crazy fun never ends! Catch the best in the whole world (band) with stand-up comedians Abish Mathew and Kenny Sebastian as they attempt to piece a two piece band (plus a surprise guest). They sing about relationships, daily struggles, and songs they still haven’t written down. An hour of comedy, music and everything in between sure to leave you & your friends in splits!